Sydney is known for nightlife, trails, beaches, parks, and museums. 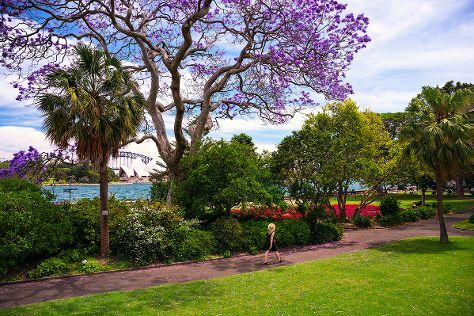 Your plan includes some of its best attractions: take in nature's colorful creations at Royal Botanic Garden Sydney, wander the streets of The Rocks, stroll through Bondi Beach, and snap pictures at Sydney Harbour Bridge. To see photos, maps, traveler tips, and other tourist information, use the Sydney travel route planning tool . Kuala Lumpur, Malaysia to Sydney is an approximately 11-hour flight. The time zone changes from Malaysia Time (MYT) to Australian Eastern Standard Time (New South Wales) (AEST), which is usually a 2 hour difference. Prepare for little chillier weather when traveling from Kuala Lumpur in April: high temperatures in Sydney hover around 26°C and lows are around 17°C. 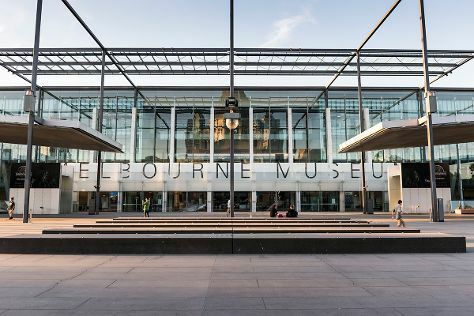 Finish your sightseeing early on the 27th (Sat) so you can travel to Melbourne. Melbourne is known for museums, shopping, parks, nightlife, and zoos & aquariums. Your plan includes some of its best attractions: get the lay of the land with Royal Botanic Gardens, take in panoramic vistas at Eureka Skydeck 88, get to know the resident critters at Melbourne Zoo, and make a trip to Flinders Street Station. Inspirock's itinerary builder makes planning a Melbourne trip simple and quick. Fly from Sydney to Melbourne in 3.5 hours. Alternatively, you can do a combination of flight and shuttle; or drive. Traveling from Sydney in April, expect Melbourne to be little chillier, temps between 23°C and 11°C. On the 30th (Tue), wrap the sightseeing up by early afternoon so you can travel back home.